Players Handbook 3 cover… revealed? So this is the cover to Player’s Handbook 3? May be old news, but I’ve never seen it. Ki we know is gone, but is the Shadow power source gone? Have we seen the last of new power sources with the Psionic power? Minotaur and Githyanki races, nice. Interesting… how many more PHB’s will we see? More divine and primal, huh? That’ll mean we’ll have fewer martial and arcane classes than the others, which is an odd balance. Also, Minotaur? OK so not everyone has a DDI subscription but do we need yet more expansion? Maybe I’ve underestimated their popularity. Nothing against them in particular. This doesn’t even help people without the subscription. The minotaur is severely crippled compared to other races. If you look through some of the books, particularly Arcane Power, Martial Power, and PHB2, all the races get class-specific feats, paragon paths, etc., but the Dragon races got left behind. I’m thrilled to see the minotaur getting the treatment it deserves. I’m just glad to see that Wizards has returned to actual art for the cover of their core books and not the lame tome designs we got with 3e and 3.5e. @Fat Alibert: I think we’ll see 10 PHB’s before 5th Ed. Anyone know what other classes/races or other content will be in this book? Also on another note – anyone hear if they are going to be making a 4th edition style version for d20 modern/future? I am pretty excited about the Minotaurs getting a full write up. They are going to play a pretty prominent role in my campaign and a Mino PC would be a perfect fit. My current PC is a warforged barbarian who believes he’s a minotaur. 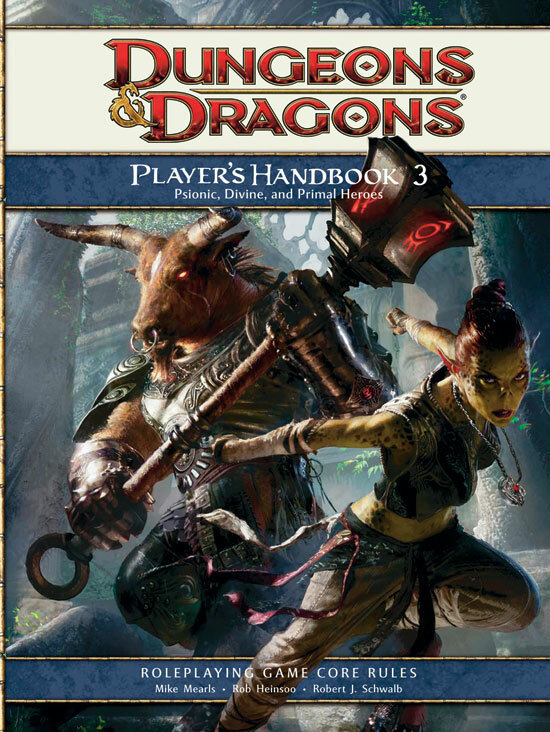 More minotaur info would be welcome, though the PHB3 is too far from release to be helpful to me specifically. Well at least Primal and Divine will finaly catch up to the amount or Arcane class their are and with the Githzeari becoming playable races means the Githyanki will be following. The martial should be the focus rather than divine because we need a marial controller.